Forty-five degree dichroic filters and mirrors guide light by selectively transmitting and reflecting different wavelengths – commonly used to combine light from multiple LEDs or lasers into a common light path, or in reverse separating white light or fluorescence excitation and emission bands into discrete components. 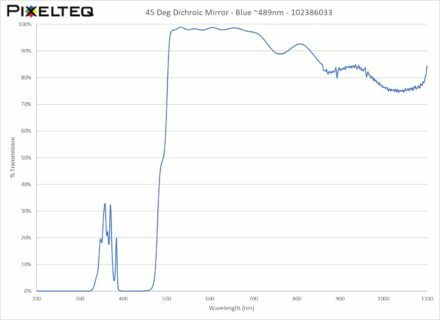 Since dichroic filters are angle-dependent, the standard versions of 45° dichroic filters are designed to operate at a 45 degree angle of incidence; custom angles and illumination sources are available on request. 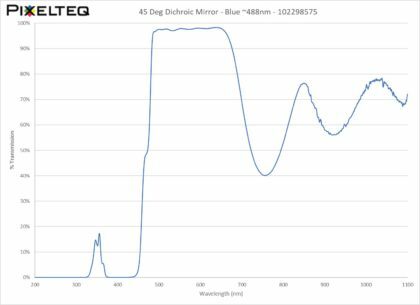 PIXELTEQ’s 45° dichroic filters are shift-free color filters, dielectric coated interference filters which transmit certain regions of the visible spectrum and reflect others with high efficiency. The filters mirrors are manufactured with proprietary sputtering technology which makes them extremely stable to changing operating temperatures and harsh environmental conditions. 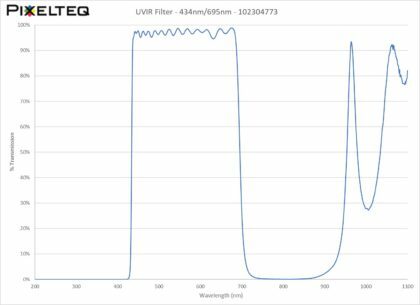 Thin film interference filters are virtually absorption free – providing superior transmission, rich saturated cyan colors, and true lifetime performance. They also have a steep edge transition between the shorter wavelength transmission band and the longer wavelength reflection band – much steeper than colored glass or polymer gels. 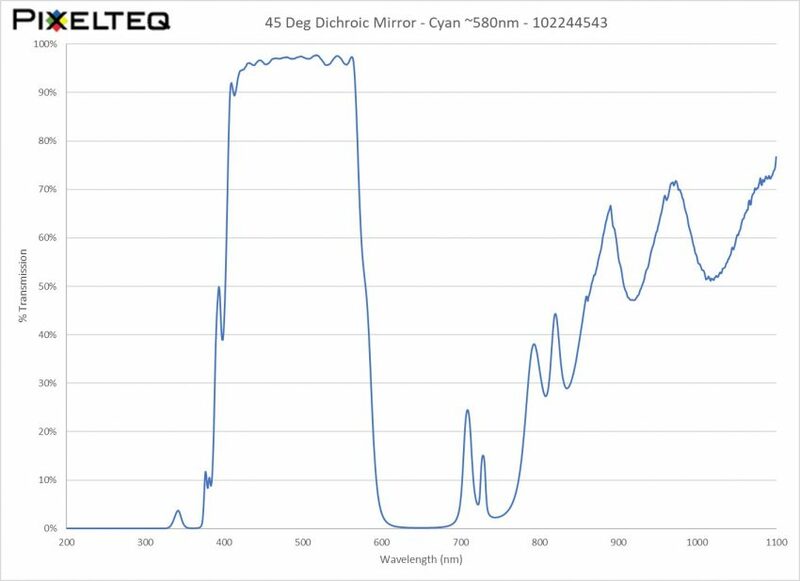 Custom OEM versions are available to match cut-on & cut-off wavelengths and angles for lamps, LEDs, and lasers – engineered for your specific illumination sources & optics to deliver the targeted color output. In addition to customized coatings, the optics are delivered in the form to fit your application – in specific substrates, shapes, and sizes.